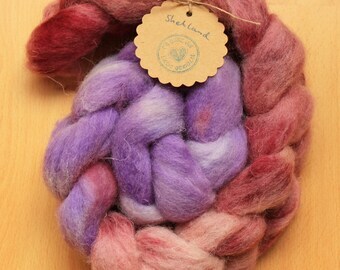 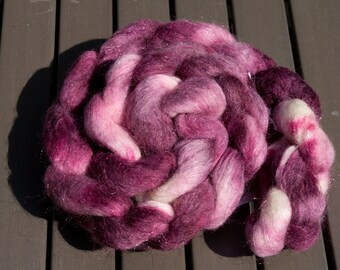 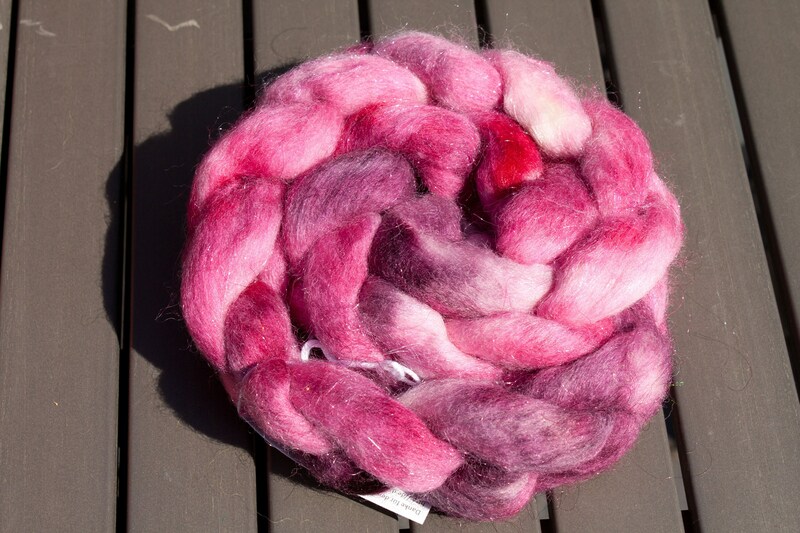 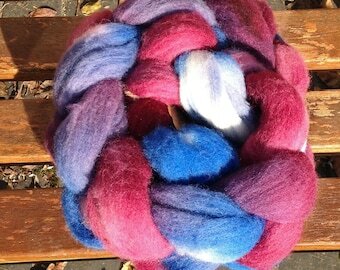 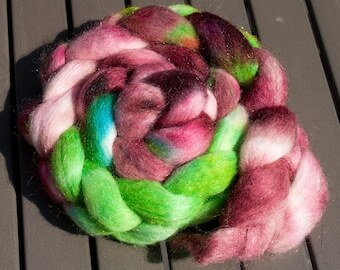 Hand-dyed Falkland wool with nylon in the nylon SW. 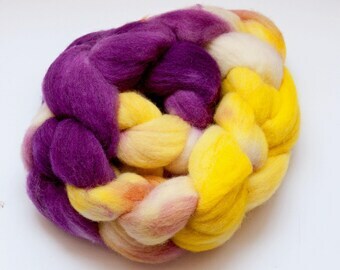 The wool was dyed with acid paints and washed out until no more colour was detected. 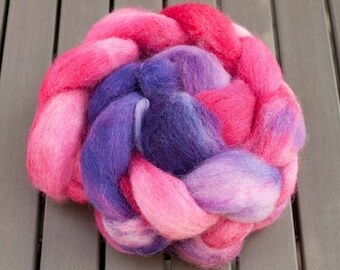 In the first washing, however, there may still be some excess colour particles, which do not affect the intensity of the colour.